Ok I am officially giddy with glee this morning. Totally random act on my part. I was responding to a tweet Marina posted asking her followers about how the weekend went. 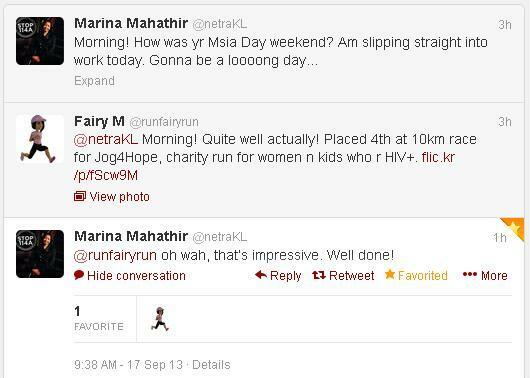 I figured she might dig an update about my achievement at a charity run for a HIV+ home, she is an activist after all. How often does one get a tweet back from her? Score!